When planes crash, bridges collapse, and automobile gas tanks explode, we are quick to blame poor design. But Henry Petroski says we must look beyond design for causes and corrections. Known for his masterly explanations of engineering successes and failures, Petroski here takes his analysis a step further, to consider the larger context in which accidents occur. 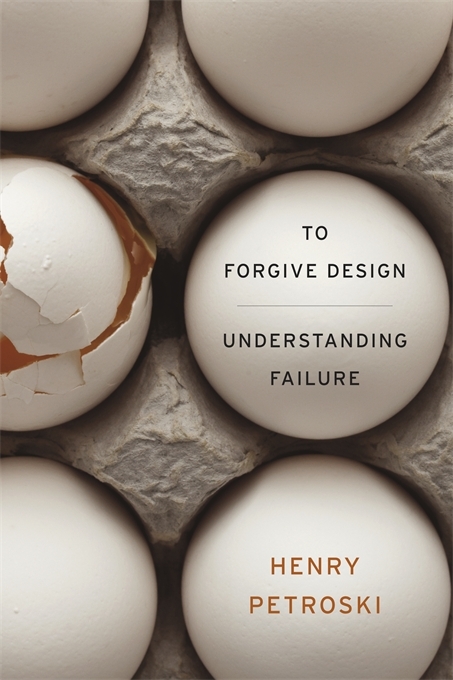 In To Forgive Design he surveys some of the most infamous failures of our time, from the 2007 Minneapolis bridge collapse and the toppling of a massive Shanghai apartment building in 2009 to Boston’s prolonged Big Dig and the 2010 Gulf oil spill. These avoidable disasters reveal the interdependency of people and machines within systems whose complex behavior was undreamt of by their designers, until it was too late. Petroski shows that even the simplest technology is embedded in cultural and socioeconomic constraints, complications, and contradictions. Failure to imagine the possibility of failure is the most profound mistake engineers can make. Software developers realized this early on and looked outside their young field, to structural engineering, as they sought a historical perspective to help them identify their own potential mistakes. By explaining the interconnectedness of technology and culture and the dangers that can emerge from complexity, Petroski demonstrates that we would all do well to follow their lead.